I was planning on posting this yesterday, but I failed to succeed in taking photos while the skies were grey and pooptastic. I had no motivation whatsoever so I spent, literally, the entire day watching Gilmore Girls. I didn't even get the chance to tick off washing clothes from my To Do list yesterday. I did, however, burn holes into the bottom of a bucket to make my own bokashi compost bin which didn't take more than five minutes. I don't know if you guys remember but last year I tried my hand at growing pumpkins, and that somewhat failed (it failed pathetically) but this time I'm using my green thumb to attempt growing tomatoes, spring onions, chilli and some parsley. Only time will tell if I succeed in having my own supply of fresh home-grown cherry tomatoes to pop into my mouth like popcorn. In the meantime, I'm setting up my compost, stocking up on fertiliser and crossing my fingers for a lifetime supply of chilli. I really digressed from the topic of this post there, but I thought you guys would like to know what I was up to these days. I also managed to find some marble adhesive at Kmart the other night, so that really put a spring in my step. I actually like it better than the one I currently use as the backdrop for the blog, it's got a semi-matte finish that makes it look quite natural, and there's not so much contrast between the black and white. I'll need some more foam board so I can stick the new one on, but for now, it's nice knowing I have a backup for when I need it. So, before I digress for the third time, I'll get started on this. I saw the premise for this post over on Hey There, Robyn and thought it looked fun. I don't think I've ever told you guys what my favourite brands were, but I've probably hinted it here or there. I think this one is a bit obvious lately, what with my parading around the I Heart Chocolate and Pink Fizz palettes, showcasing my adoration for them on Instagram these days. I've been super impressed with the quality vs the affordability of their products, and I prefer it to Too Faced. I may not be able to speak much for their foundations and concealers, mainly because I prefer to try before I buy, but I love their eyeshadows and highlighters. For my birthday and Christmas this year I'm going to make a huge order from the website you can bet there will be a few highlighters thrown in. 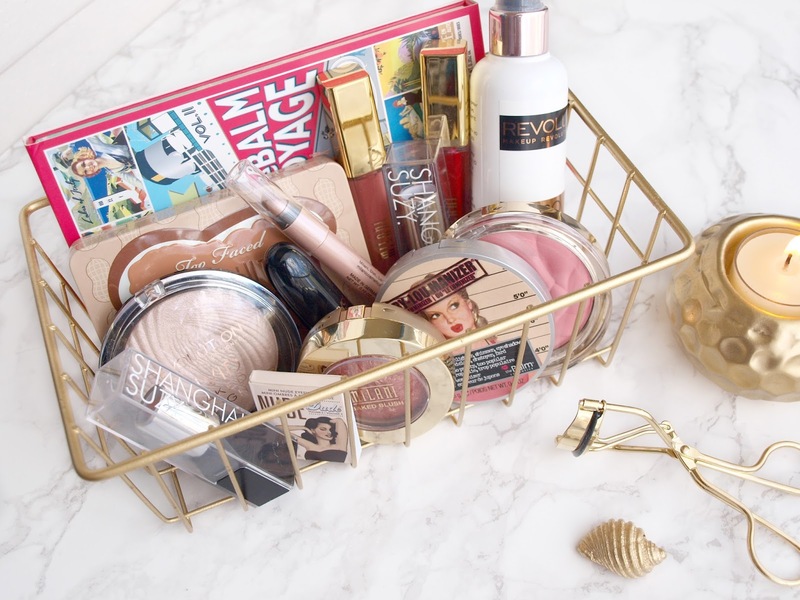 Compared to Makeup Revolution, Milani Cosmetics is a little less reliable in terms of quality in their products, but most of the products I own have been amazing. I've got a few firm favourites that I continue to use on a regular basis, and they include the ShadowEyez pencils, the Amore Matte Lip Cremes, and their foundation in Body Glow (more like a cream highlighter than a foundation). I haven't been too fond of some of their eye products but I do adore their blushes and lipsticks. I've got a very small amount of experience with theBalm products because it's a bit too expensive here in Australia, but it is still one of my favourites. I absolutely adore the Mary-Lou Manizer, it's my go-to highlighter. I haven't played with the Balm Voyage, but from when I did the eyeshadow swatches, they were a little less pigmented than I had expected. It could be because I was being stingy with the swatches. I'm not too crazy about the matte liquid lipsticks, they seem a little too dry and crusty for my liking - I've only worn it once and my lips weren't exfoliated due to laziness so that may be why. Okay, I have far less experience with Too Faced than I do theBalm, but I do like a lot of their products, even if they're on the expensive side for me. I've got the Peanut butter and Jelly Palette, and while it's not a daily go-to, it houses one of my favourite shades that I use regularly, 'Bananas', which is sooo gorgeous. I've tried the Shadow Insurance and that didn't fare too well against my greasy lids. I've tried their Born This Way foundation in Ivory and I really love the finish and colour, it looks so incredibly natural on the skin, but it doesn't last as well as I would have liked before it started separating on my nose. I had a really hard time trying to pick a fifth favourite brand and it was a toss up between Shanghai Suzy, Face of Australia, Shanghai Suzy and Essence. So I picked the one that was the most reliable in terms of quality and consistency. This is an independent Australian brand, so I won't be surprised if a lot of my readers don't recognise this one. 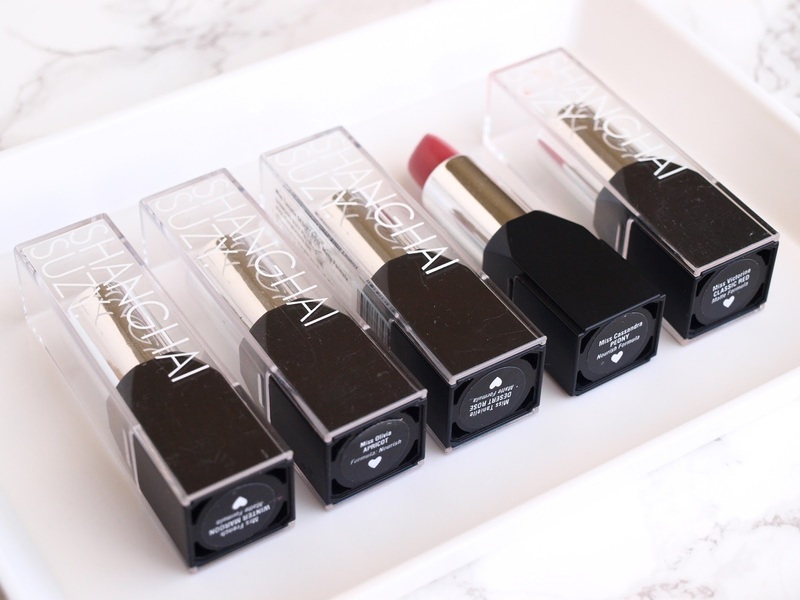 I, however, love their lipsticks, they are incredibly moisturising and pigmented. I've got five shades so far, but I hope to buy a few more, especially from their latest Autumn/Winter collection. My favourite shade to date is the Miss Cassandra Peony. So that's all for today, you all know my favourite brands at the moment, so please feel free to completely overwhelm me with gifts from Makeup Revolution and theBalm. I jest, I jest, I only want a little bit of love and petting here and there, unlimited lasagne when I'm hungry and lots and lots of Pringles when Aunt Irma is in town, who is, thankfully, not coming today. Or tomorrow. What are your favourite brands? Please feel free to drop a comment listing your favourites. I am a big fan of Shanghai Suzy! It's become my go-to lipstick. Thank's to you!💗💖 I think I'm addicted? They're amazing so I don't blame you! They've got new shades coming out for the Spring/Summer, and they're mostly nudes. 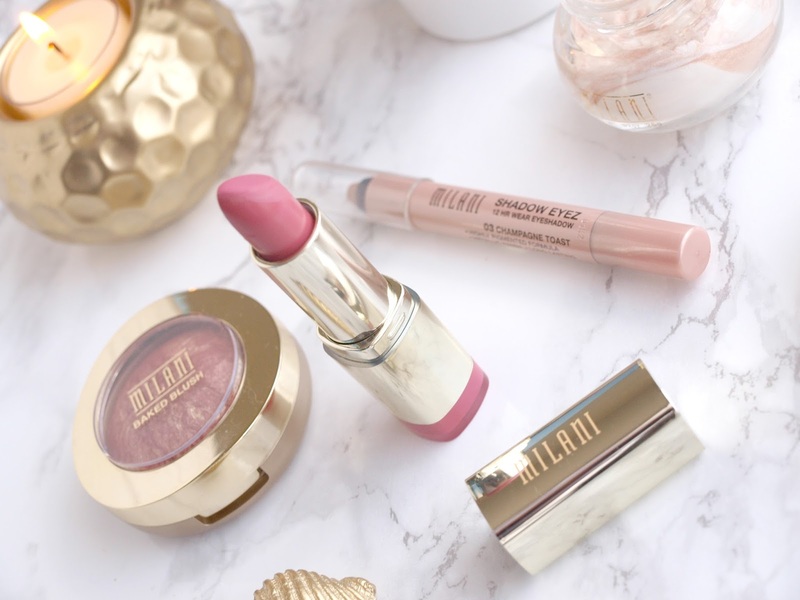 I discovered Milani recently and I order some products, I love their baked blushes! I love them too! It's such a great brand! Good luck in your gardening adventures - and I love your use of the word "pooptastic!" I haven't tried ANY of these brands but they do sound good... I can definitely get my hands on Too Faced so I better get at it! I'll need all the luck! It's such a great word, right? I love using it :D You really should try Makeup Revolution, they're perfect and reliable and so easy to order from the UK. They have a lot of dupes for Too Faced products too! I totally agree! They need to market themselves more, because they really do have a lot of great products! Too Faced did disappoint me at times, but that's only because of my skin. I love Milani- their blushes are so good! 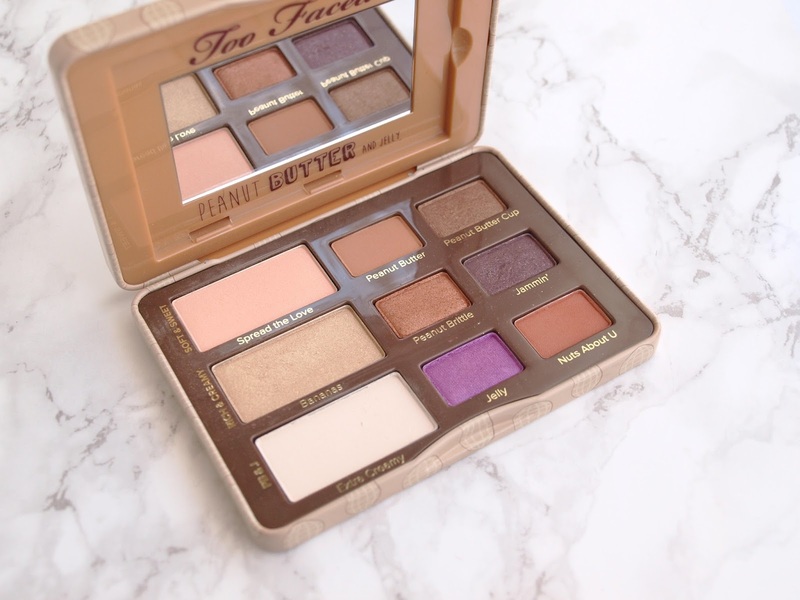 I really want to try the Too Faced chocolate bar palette as well- I love any brand that will incorporate food! Ahaha, me too! You would love Makeup Revolution's Too Faced dupes, they apparently smell so delicious - my partner loves the scent of the I Heart Chocolate palette! Milani is so well known for their blushers - they're such great quality! 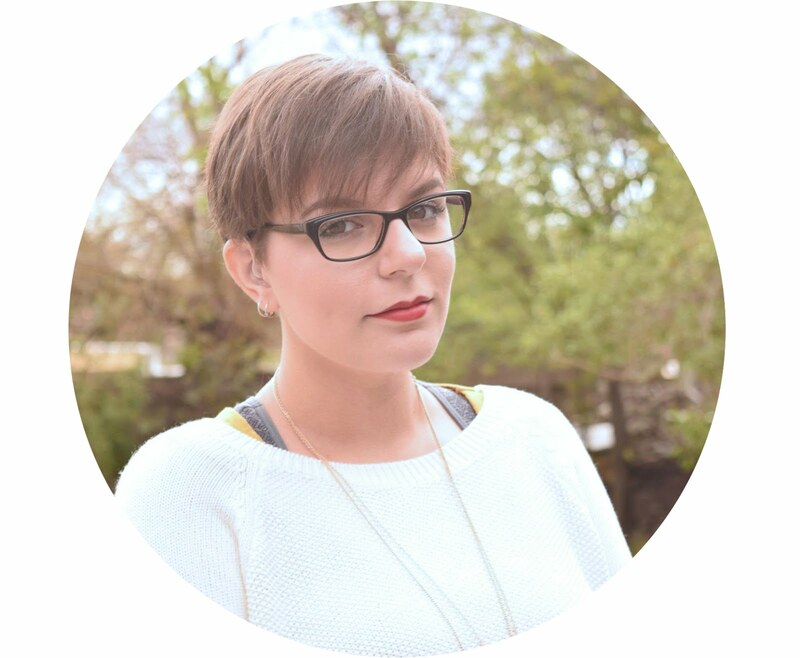 Going Cruelty-Free: How & Why Did I Do It? A Butterbeer Recipe You Can Make At Home!